As American gardeners and home owners are learning of the Roundup cancer connection, more and more people are seeking to file Roundup cancer lawsuits against Monsanto. Critics say the company has purposefully concealed information from and misled the public regarding the Roundup cancer risk. Now that the threat has been verified by the World Health Organization, consumers everywhere are seeking to learn more about Roundup lawsuits for non-Hodgkin lymphoma, multiple myeloma, and leukemia. If you or someone you love has developed cancer after working with Roundup, you may be eligible to file a Roundup cancer claim against Monsanto. Filing a lawsuit can bring your family meaningful financial compensation and also serve to hold the global agribusiness accountable for what many believe have been misleading advertising practices. By filing a claim on behalf of yourself or a loved one, you join numerous other Americans in pressuring Monsanto to become a better corporate citizen. Attorneys handling national Roundup cancer lawsuits offer free, no-obligation case review to individuals and families who been harmed by the herbicide. To learn about your legal options and ask any questions that you may have of an experienced products liability attorney, contact our firm. You may complete our simple contact form or use the online chat feature. One of our lawyers handling Roundup cancer lawsuits will contact you promptly. 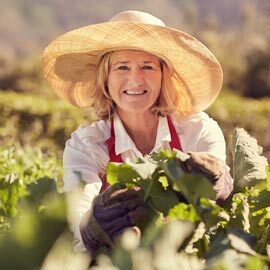 Research shows that persons who apply Roundup to their garden or lawn have been exposed to a heightened risk of developing certain forms of cancer. Specifically, you may qualify to file a Roundup lawsuit if you or a loved one have been diagnosed with leukemia, non-Hodgkin lymphoma, or multiple myeloma. 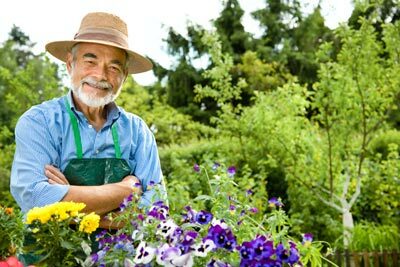 Many American gardeners have been exposed to the Roundup cancer risk through no fault of their own. We believe Monsanto can be held responsible for its failure to warn consumers of the deadly risks associated with one of the company's leading products. Roundup lawsuits enable families to recover the compensation they deserve and push Monsanto to take responsibility for Roundup cancer dangers. For decades, Monsanto officials have declared Roundup is safe for private use in home gardens and lawns, despite mounting evidence that Roundup likely causes cancer. When the World Health Organization announced its Roundup cancer warning in 2015, many national health organizations restricted or banned the sale of the popular herbicide. Monsanto continues to insist Roundup is not a human carcinogen. The company has been embroiled in scandal on two occasions when the FDA and Department of Justice uncovered fraudulent Roundup cancer testing and falsified research results. Many people believe Monsanto has denied the cancer threat in the face of scientific evidence in order to protect sales of Roundup and related products such as Roundup Ready crops. Roundup lymphoma lawsuits will not be class action lawsuits in which claimants may anticipate receiving only a small, symbolic settlement. Plaintiffs in Roundup lawsuits have filed for consolidation of their claims as Multidistrict Litigation (MDL) in U.S. District Court. MDL allows similar cases to move forward together, sharing Discovery, while still ultimately preserving the unique details of each case. Each claimant is awarded compensation based on the degree of suffering. The MDL procedure brings together common cases against a large corporate entity to advance justice and safeguard others from the same dangerous product. We will represent all persons involved in a Roundup cancer lawsuit anywhere in the United States on a contingency basis, meaning our attorneys never charge legal fees unless we win compensation in your case. For a free no-obligation consultation please fill out our short online contact form and one of our Roundup attorneys will contact you promptly to answer any of your questions.